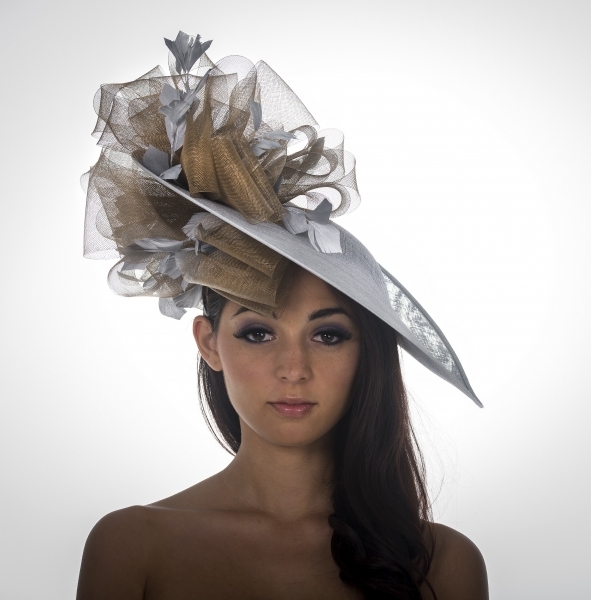 The Lake Pillbox hat is a very pretty hat that will work perfectly for a wedding or race meeting. 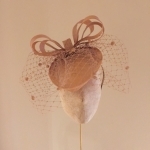 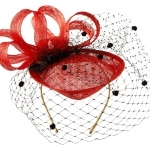 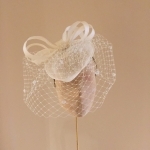 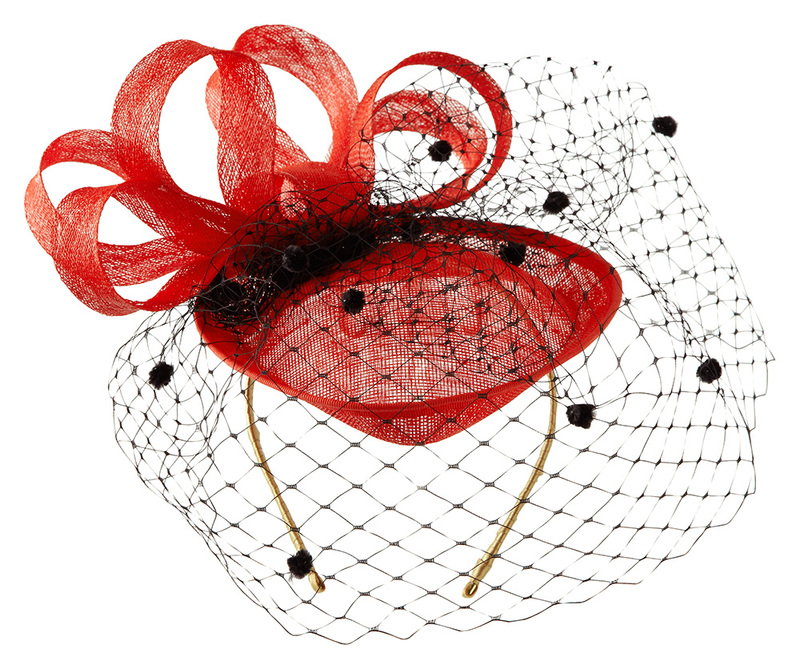 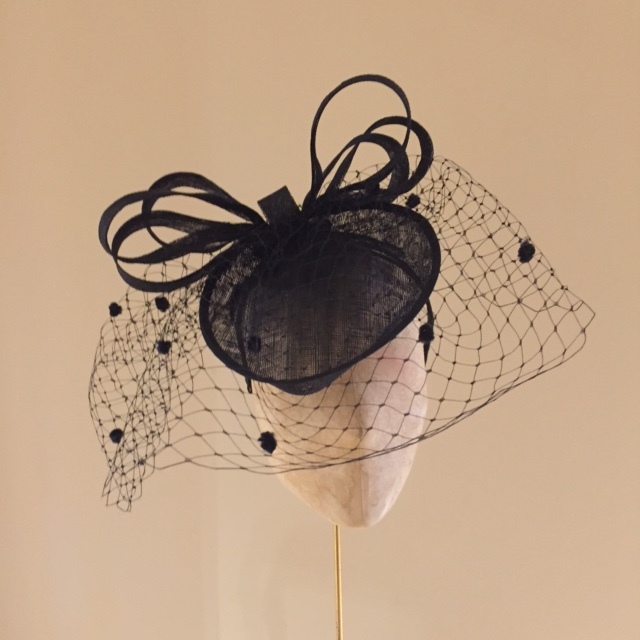 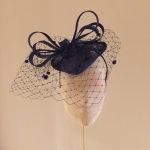 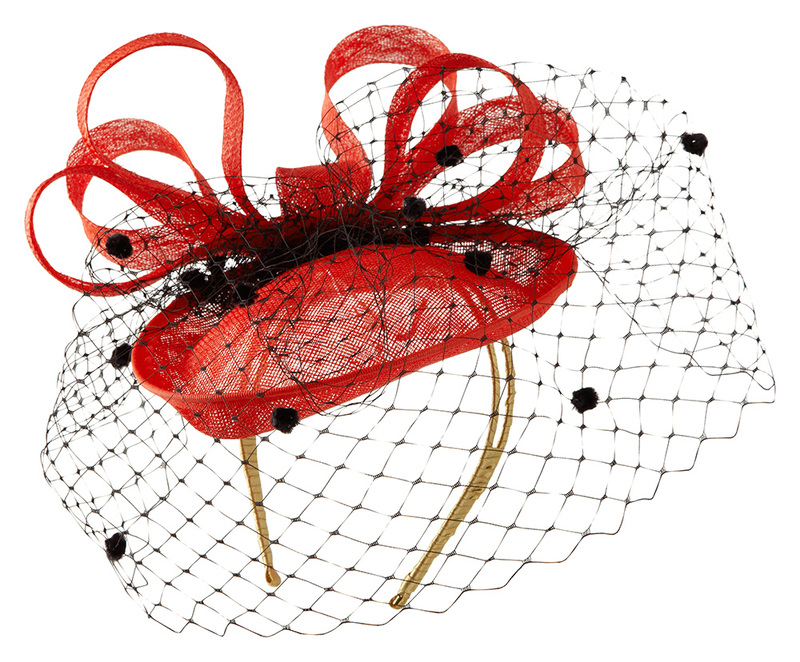 This hat features a sinamay pillbox base with upturned brim. 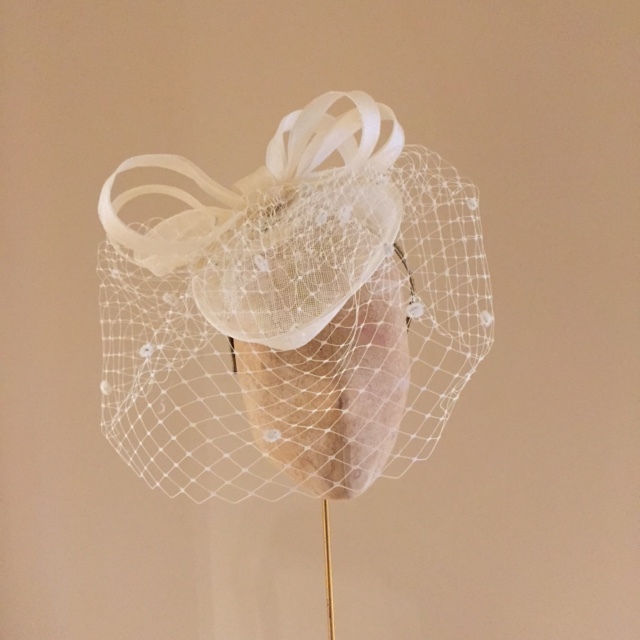 The back of the Lake pillbox hat is trimmed with a sinamay bow and a touch of drama is added with an elegant veil partially covering the face. 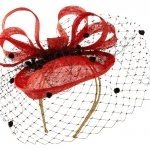 You can choose what colour the hairband comes in so that it can blend with your hair colour. 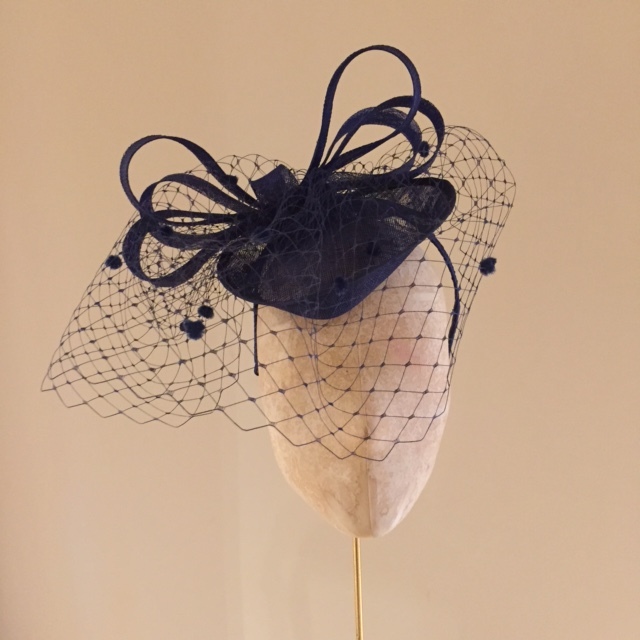 The Lake pillbox, as well as all of our other hats is available in any combination of colours from our colour chart. 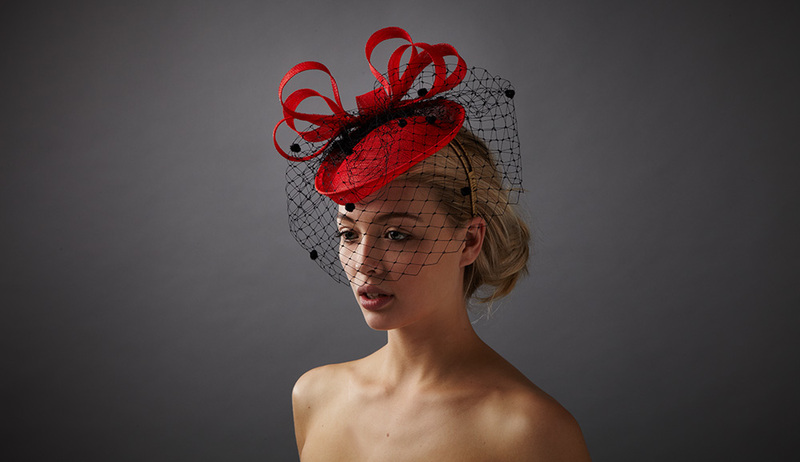 You can enjoy browsing the colours and choosing your own to match your hat or you can let us do the hard work for you. 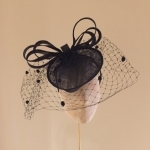 If you request a colour consultation as you check out then we will be in touch to discuss your outfit, the occasion and will work with you to match your hat perfectly, all FREE OF CHARGE. 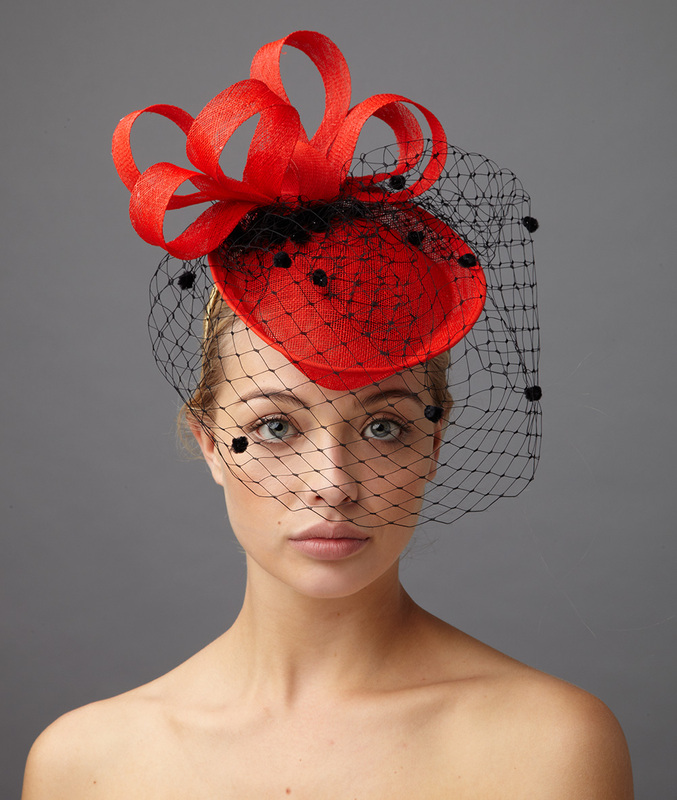 We can send out colour swatches to you to help you to be totally confident that the colours chosen match your outfit. 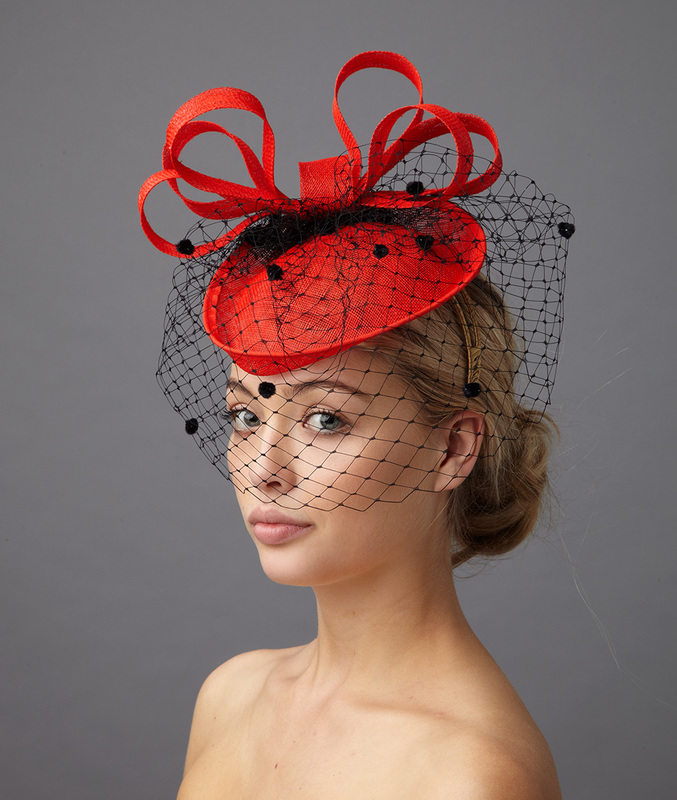 If you have any questions about our hats or service please contact us in info@hostiehats.co.uk.